Big projects are great, but sometimes you just need a quick creative fix. 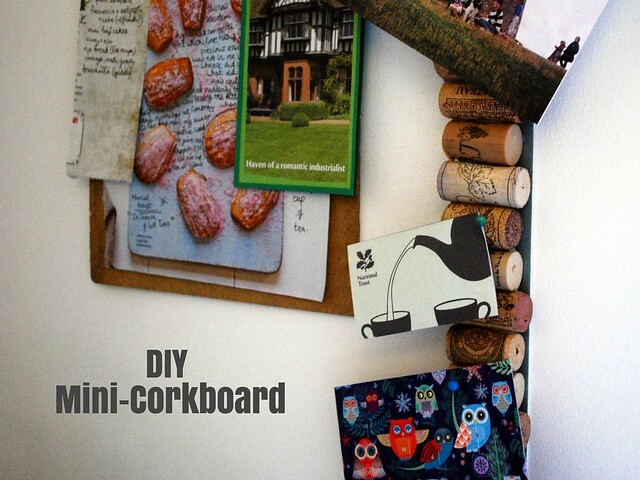 This mini-corkboard took about half an hour to put together. Unless you count all of the bottles of wine which were drunk in the process… in which case you might want to add a bit longer onto your estimate! It’s extremely simple… you need a strip of stiff cardboard (I raided some mountboard from my dad’s workshop as usual!) which is the same width of the longest corks, and about 20 cork-widths in total, assuming you want to make one the same size as mine. Then you just get your hot glue gun out and stick them on! 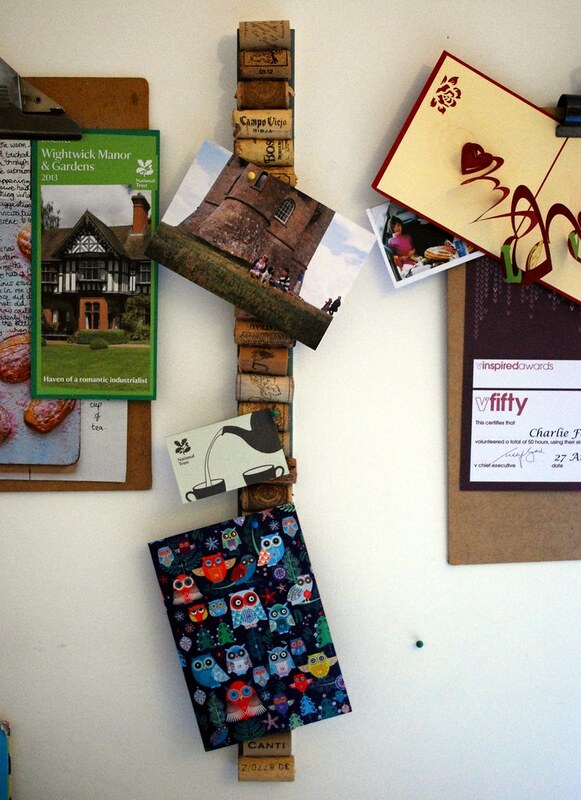 A tip I picked up from Googling this project was to glue the back of the cork to the card, but also the bottom of the cork to the next one to give it extra stability. I haven’t added too much to mine yet, apart from the advent calendar my parents bought me and some leaflets in preparation for the weekend. 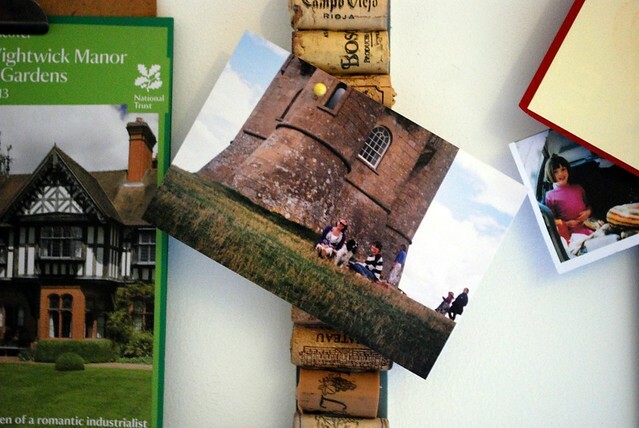 Planning some National Trust themed jaunts having heard some glowing reviews of Wightwick Manor and owing to a need to escape the city for a bit! Have a great weekend all.